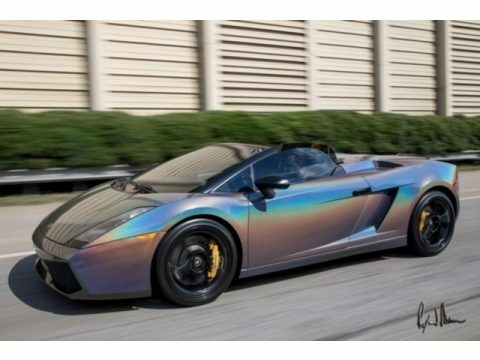 2008 Lamborghini Gallardo Convertible for sale in Lafayette, LA 70507 This Lamborghini Gallardo is powered by a 5L V10 gas engine, paired with a 6-speed Automatic Paddle Shift Transmission. There is only 16,680 original miles on this sports car. This beauty is shown in Giallo Halys with a 3M Wrap, has been garage kept and is non-smoking. Just had everything replaced that needed to be, so there should be no maintenance for a long time. OEM clutch just replaced with all the assembly parts that go with it. Only miles on the new clutch are from the shop to owner’s house. Features: Leather Interior Heated Seats Navigation Bluetooth Keyless Entry Backup Camera Convertible Multizone Climate Control Please call (402)502-8385 for more information. ATTENTION BUYERS *Caveat Emptor* Please Remember to Inspect Vehicle Prior To Purchase!